2. What are the three general characteristics that distinguish and segment the products? 3. 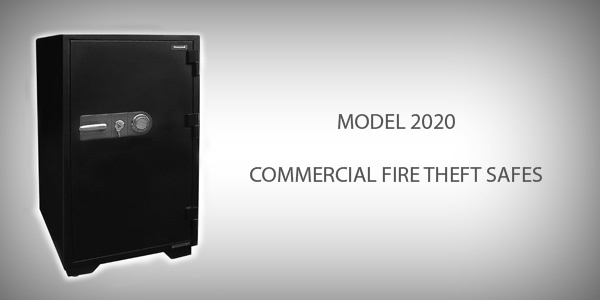 Safes Protection From Fire and Heat? 4. 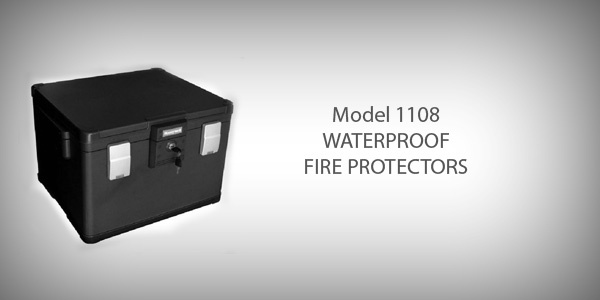 Safes Protection from Water and Moisture? 5. 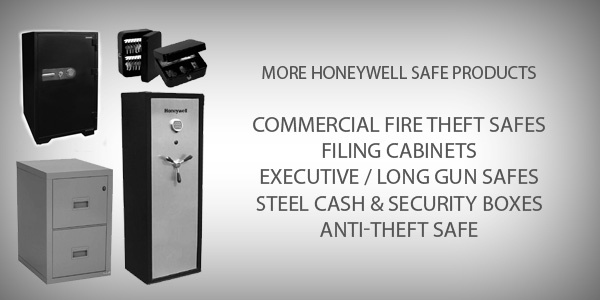 Safes Protection from Burglary and Theft? 1. How to Open Safe Using Combination? 2. How To Lock Safe Combination? 1. How to Install Batteries? 2. How to Change Replace Batteries? 3. HOW TO PROGRAM NEW USER CODES? 4. HOW TO SET CALENDAR AND CLOCK? 2. Fire Replacement Request Requirements? A Consumer Product Category the Includes a wide range of Storage Containers providing Enhanced Protection from Damage or Loss due to Extraordinary Threats. Fire & heat protection was developed to fill a need (originally by businesses) to prevent the loss of valuable data and recorded information at risk during structure fires. These records consist of many types of paper, film, and computer media; each has a different degree of tolerance to temperature, humidity and length of exposure to harmful elements. • The type of media it intends to protect. • The length of time it provides this level of protection. 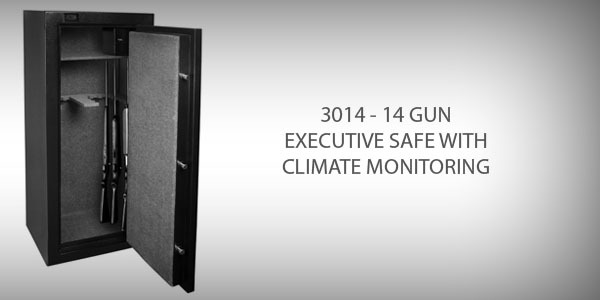 • Two Classifications define the type of media protected: Class 350, and Class 125. • UL 72 Class 350 –rates ability to protect paper (begins to char at 400ºF). • 30 Minute Rating – Interior remains under 350ºF when exterior is 1550ºF for 1/2 hour. • One Hour Rating – Interior remains under 350ºF when exterior is 1700ºF for 1 hour. • Two Hour Rating – Interior remains under 350ºF when exterior is 1850ºF for 2 hours. • video cassettes, photos, film, negatives, microfiche & microfilm. • 30 Minute Rating – Interior remains under 125ºF when exterior is 1550ºF for 1/2 hour. • One Hour Rating – Interior remains under 125ºF when exterior is 1550ºF for 1/2 hour. suppliers to each create their own specifications defining a protection “standard”. Sentry has written their own definition and turned to ETL to verify that their product has been tested by an independent testing firm and certified to be in compliance with the manufacturers’ specifications for waterproof submersion. SentrySafe waterproof product has been tested by the independent testing firm ETL Semko and certified to be in compliance with the manufacturers’ specifications for waterproof submersion. Products were completely submersed up to 2” of water above the uppermost surface for a duration of one hour. The amount of water entering the unit was no more than 0.5 grams (8 drops). Tested to 8 inches of water for 24 hours. Note: Maximum allowable leakage is 170 grams. UL Burglary ratings do exist but are far too stringent for Home and Small Office category. goods industries (Jewelers, Bankers, etc) from thieves skilled at overcoming complex security measures and willing to go to great lengths in pursuit of high value targets. These UL ratings apply to safes that are quite large, weigh tons, and cost thousands of dollars. This defines the usable space (size) of the interior storage cavity and is typically measured in cubic feet (ft3) as well as liters (l). Note: Certain specialty products define the amount of items that can be stored. This is most common in the Gun Safe segment where the # of slots available for rifle / long gun storage is prominent in product description. • Key – There are many different types of key configurations are available with varying degrees of security. • Combination Dials – These are typically available in 3 or 4 number combinations and can have added protection such as “spy-proof” dials. • Digital Locks – Electronic keypads allow various levels of programming and control. Some of the enhanced features available include LCD readouts, multiple passcode access, audible warnings, user tracking, etc. • Fingerprint Biometric – To date these have been problematic due to a large number of “false negative” results. It is estimated that approximately 20% of the general population cannot successfully program their fingerprints. • Dual Lock Systems – These are increasingly common and require passcode (Digital) or combination (Dial) input as well as a key to gain access. • Emergency Override Keys – These are now very common in this category, especially on products with electronic access controls that can malfunction or suffer power loss. 1. Press in on small black piece at bottom of latches. 2. Lift latches slightly upward while pressing bottom. while pressing bottom. 3. Once latch is lifted upward, pull top of latch back. 4. Once latches are open, insert key into lock cylinder. 5. Turn the key to the right ¼ turn (90º clockwise). 6. Chest is now unlocked and you may lift the lid. 1. Close lid and insert key into lock cylinder. 2. Turn the key to left ¼ turn (90º counterclockwise). 3. Chest is now locked and you may remove the key. 4. With chest locked, lift latches and press flat against chest. 5. With latches flat against chest push downward. 6. Press inwards on latches to ensure latch is sealed. 1. Insert the special key into the cylindrical lock. 2. Starting with the combination dial positioned on 00 at the center index mark, turn the dial to the right passing 00 three times and stopping on the first number. 3. Turn the dial to the left passing the first number two times and stopping on the second number. 4. Turn the dial to the right passing the second number once and stopping on the third number. 5. Turn the dial left stopping at the fourth number. 6. Turn the key clockwise to the right to open safe. Close door and turn key counterclockwise (left). Turn the dial to right at least 4 times to secure lock. 1. Remove the battery compartment cover located on the right side of the control panel by pushing in and to the right. 2. Install the 4 “AA” batteries in the battery compartment as illustrated on the inside of the compartment. 4. Once the batteries are properly installed, replace the battery compartment cover. For best results, it is recommended to replace the batteries when they become weak as shown on the Battery Power Level Indicator (A) or at least once a year. NOTE: It is NOT RECOMMENDED to use Non-alkaline or rechargeable batteries. If the batteries are removed or fail, the keypad memory will NOT be erased and the active programmed code will still work once power has been restored. SECURITY NOTE: To insure privacy, this procedure should be repeated for both of the factory pre-set codes. 1. 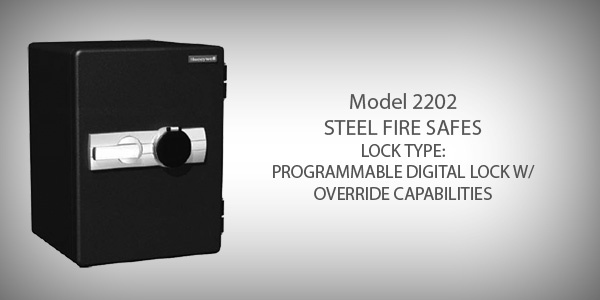 Unlock the safe with the first factory pre-set (or current active) code. 2. If correct code is entered, “OPEN” will appear on the LCD panel, and you will hear a chime tone indicating the safe is unlocked. 4. If entered correctly, “IN” will appear on blue display followed by a chime and the new code number will appear for 1 second. Repeat this process to reprogram the second factory pre-set code. memory. If you wish to change your new code, simply repeat the process with current active user code(s) and enter new code(s). substituting the new user code(s) for the factory preset user code(s). Once batteries are installed and the control pad is powered, the next step is to begin by programming the clock and calendar. READ ENTIRE DIRECTIONS AND WRITE DOWN DATE/DAY/TIME BEFORE PROGRAMMING. You must enter all information without delays. If the light goes off, you must begin programming again. 1. With the safe door closed and locked, press the “” key followed by the “9” key. The LCD readout will glow amber. display the information you just programmed. 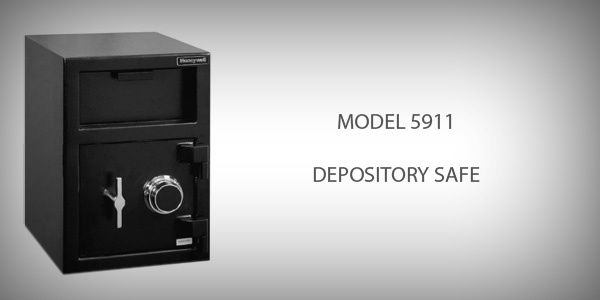 1) Letter indicating COMPLETE NAME, ADDRESS & CONATCT NUMBER/S of customer and details of the SAFE: MODEL#, SERIAL#, KEY#, Requesting for What and Why? 2) 2 Valid ID of Owner. 3) Any Proof of Purcahse : SALES INVOICE, DELIVERY RECEIPT, REGISTRATION CARD. 4) In the absence of Number 3, A Notarized Affidavit of Loss or Certificate of Ownership. 1) Letter indicating COMPLETE NAME, ADDRESS & CONATCT NUMBER/S of Customer and Details of Safe: MODEL#, SERIAL #, AND KEY NUMBER. 7) Any Proof of Purchase: SALES INVOICE, DELIVERY RECEIPT, REGISTRATION CARD. 8) In the Absence of Number 7, A Notarized Affidavit Of Loss or Certificate of Ownership. 1. Remove override key cover with small screwdriver. 2. Insert override key and turn left to unlock safe. 3. Turn knob to right and open safe door. 1. Remove battery compartment (A) cover on inside door. 2. Insert 4 “AA” batteries (included). 4. Do not close door before testing digital lock. 1. With door open, turn knob left to put locking door bolts (B) in lock position. 2. Remove override key and store in a secure place. NEVER STORE KEYS INSIDE SAFE! 3. Enter the preset pass code: “1”-“5”–“9”-“B” . 4. Turn knob to right within 5 seconds. 5. Lock bolts should recede into the unlocked position. 1. With door open, press reset button (C) inside door. 2. Yellow light is on, enter new pass code in 30 seconds. 3. Enter new code (3 to 8 digits) followed by “A” or “B”. 4. Safe will beep and yellow light will turn off. NOTE: The factory pre-set code will not work after a new pass code is programmed. 1. To unlock and open safe, enter the pass code followed by “A” or “B”. 2. Turn door entry knob to the right and open door. 1. Close the door and hold it in the closed position. 2. Turn door entry knob to left to engage the lock bolts and lock safe. secure lockout period. During this secure lockout period the keypad will become disabled. Once the lockout period has expired, the safe can be unlocked using the correct pass code. You may use the override key to open safe, but keypad will complete the full lockout period. If the pass code is unavailable or your keypad fails due to dead batteries or other malfunction, you can open the safe using the override access key (see STEP 1. in the SETUP section). Note: The pass code will not be erased if the batteries become weak or are removed. your batteries are completely dead and you cannot open the safe by using the digital keypad, use the override access key to open safe and access the battery compartment. 1. Use the override access key to open safe. 2. With door open, press red reset button (C) inside door. 3. Yellow light is on; enter new pass code in 30 seconds. 4. Enter pass code (3 to 8 digits) followed by “A” or “B”. 5. Safe will beep and yellow light will turn off.